The New Haven Gaelic Players will present their annual fall production from Wednesday, November 7 through Sunday, November 11. 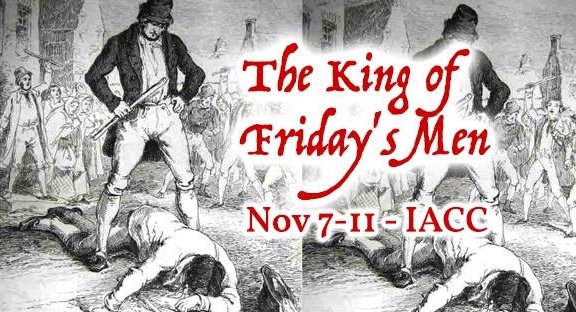 This year, they will perform “The King of Friday’s Men” by M.J. Molloy. Performances are at 7:30 pm on Wednesday, November 7 through Saturday, November 10. There is a matinee performance at 2:00 pm on Sunday, November 11. Tickets: $20.00 at the door or $15.00 when reserved in advance. For tickets in advance please contact Sandy Hanrahan at 203-245-8857, Brian Beirne 203-318-8258 or send an email to gaelicplayerstickets@yahoo.com.